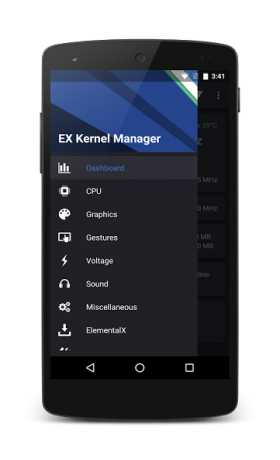 EX Kernel Manager (EXKM) is a premium kernel manager. It gives you total control over your hardware. EXKM has a beautifully optimized material design user interface. Works with all kernels and devices. Fully compatible with ElementalX Kernel. Choose from Dark, Light and Black Material Design themes! 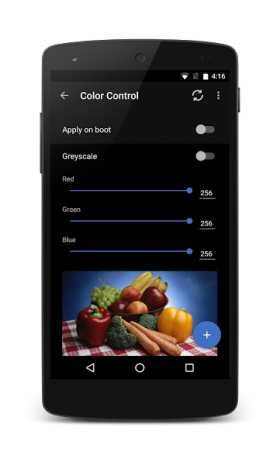 Color Control (requires kernel support): RGB controls, saturation, value, contrast and hue, save and apply custom profiles. 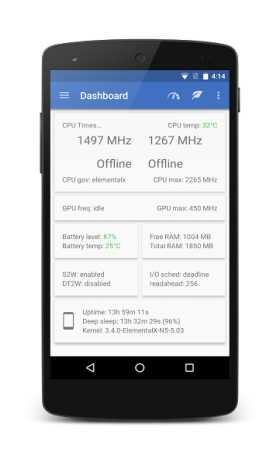 Update or Install ElementalX Kernel on Nexus 6P, Nexus 5X, Nexus 5, Nexus 6, Nexus 7 (2013), Nexus 9, HTC One m7, HTC One m8 and HTC One m9. Misc Settings: i/o scheduler, readahead, fsync, USB fastcharge, TCP congestion algorithm, last kernel log, magnetic cover control and more!